Bespoke Curtains & Blinds designs and creates quality, handmade curtains and blinds for homes and offices across London, Essex, Kent, Surrey and Sussex. At Bespoke Curtains & Blinds we offer a complete end-to-end service when it comes to making curtains and blinds for your room. With almost a decade of experience, our customers are provided with a top-of-the-range service which ensures that windows and rooms are beautifully designed and finished, whether it be in the home or at a place of work. ​Whatever your requirements may be, we’re confident that we can create the perfect, made-to-measure curtains or blinds for you. We always strive to find new and exciting ways to make rooms look their very best. We take pride in all our projects no matter how big or small. We create tailor made curtains and blinds for bedrooms, bathrooms, living rooms, dining rooms, offices, conservatories and more. ​We enjoy the challenge that each project brings and our attention to detail ensures you get perfect results. 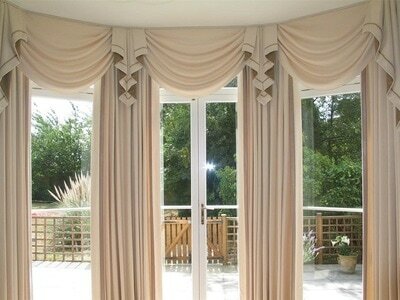 You can choose from a wide range of fabrics, trims and accessories, for your curtains and blinds. We have accounts with many top fabric houses, to ensure that you have the best and widest choice of quality fabrics to choose from. 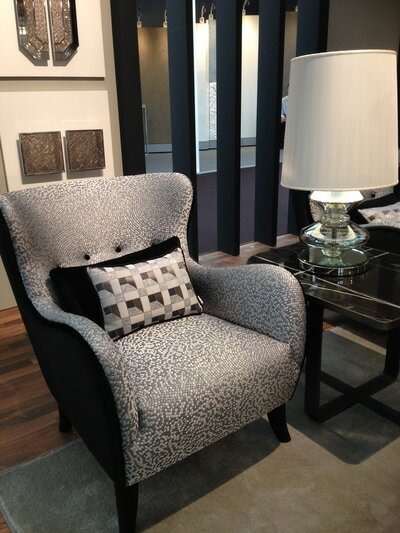 Are you looking to have something upholstered, or would you like other soft furnishings to complement the room? As well as curtains and blinds, many people seek to tie other aspects of the room together to complete the theme of the room. We can help you with your upholstery and soft furnishing needs too. "​As an architect working on mainly London residential refurbishments, I have been using Nadia on interiors projects for many years now. She is extremely professional, always contributes her own ideas as to how to enhance the design of curtains/blinds and upholstered furniture. The finish is consistently of a very high quality and delivered on time and to budget. I would have no hesitation in recommending Nadia." When you book an appointment to discuss your needs, every detail of your vision will be covered. Perfection takes time and that is exactly what you will be given to ensure that your expectations are met. The values at Bespoke Curtains & Blinds are about creating quality made-to-measure products, offered at great prices, reinforced by a first-class service. A free consultancy service is offered for properties around the London and Home Counties areas - click to see which areas we cover. Whatever the size of your project - one room or a complete house - the guarantee remains the same - you will have amazing tailor-made curtains or blinds to complement your room. We always strive to exceed your expectations with our wide range of bespoke products and high-quality service. Making clients happy is a priority. It’s our pleasure to work again with past customers and those that come to us because of personal recommendations. Take a look at the work in our gallery. 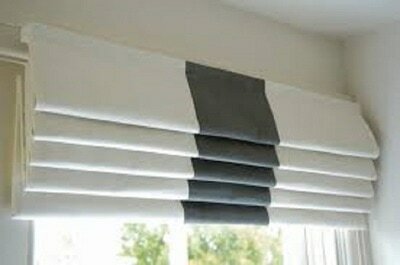 So contact us now to talk through any curtain, blind or soft furnishing project, or arrange a free home or office consultation.